The Twelfth British Sieger Event, a Special Event Recognised by the Kennel Club, will be held at Ellistown Football Club, Ellistown, Leicester on 10th & 11th September 2016 under the WUSV Working Group (represented by the WUSV founder member the British Association for German Shepherd Dogs) and the GSD Breed Council. We are pleased to announce Herr Johann Mayer from the well-known Kennel von der Jahnhohe who judged the Jugendklasse Ruden at the 2015 German Sieger Show will judge the males. Herr Jurgen Begier owner of the kennel vom Emkendorfer-Park will officiate in the female ring. 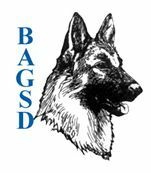 Last year we listened to the exhibitors and introduced the Baby Puppy classes, we will include these classes again this year and look forward to Victoria Brosius (Von der Burg Aliso kennel) from Germany judging both the males and the females as well as the Junior handling classes. We have also invited Steve Gish to take personal photographs, which you will need to book via the secretary. The helpers this year are Ally Buckley and Paul Howard, several training sessions will be available before the event for exhibitors to practice and we wish all those entering the Working Class every success. As this is the premier event in the GSD calendar we welcome any suggestions to make this an even better event. As usual many will be returning from the German Sieger Show full of enthusiasm and ideas for the future, we welcome all suggestions to continue to make this event that everyone talks about here and on the continent. We are attracting more entries and visitors from Europe as well as faraway places; we take this as a great compliment and wish you all a very successful event. Our commitment is to continue to hold an event unequalled by any other, the British Sieger Working Party will continue to work closely with both the WUSV and Kennel Club and we look forward to welcoming you all in September to celebrate our 12th British Sieger Event and enjoy your company in our hospitality tent.